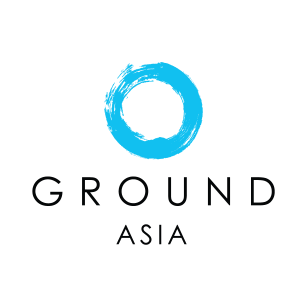 At GROUND Asia, we understand the process of organizing a school travel program may seem dauntingly difficult. That’s why we work directly with high school teachers, IB or CAS coordinators and trip leaders to take on the hassle of organizing your students’ trip – giving you less to worry about. Through our ABC’s of how we create customized travel programs for high school students, you can be safe in the knowledge that GROUND Asia will get to know your goals and create a trip tailored to meet your learning outcomes. A. Upon receiving your inquiry, we will follow up with a short phone call to get a basic idea of what you are looking for and learn about your school, the teachers and the students. We will then be able to make recommendations based upon the duration and timing of your trip. B. GROUND Asia is schooled in asking the right questions to get a good understanding of your kids. How old are they, where are they from, and what is their travel experience? Do they like challenges and what level of comfort is desired? We know our communities and the projects available so we can easily suggest accommodation types to fit your comfort level –from lavish amenities to village homestays with no electricity. C. One of the biggest questions for both schools and parents about travel programs for high school students is what are the costs involved. We can arrange meaningful service projects customized by size to meet any budget as well as customize accommodations and travel expenses. D. Next, we assess your learning focus so that we can match it with our community projects; whether it’s environmental and conservation-oriented, community development or cultural exploration. E. Aside from timing, comfort, cost and learning focus, we also customize our trips to meet your school’s safety rules and regulations, such as sleeping arrangements for adults and students, and possible safety concerns about students riding in vehicles without seatbelts or on bikes without helmets. F. Service learning is the core interest of our student travel programs, but we also ensure that our trips feature of a healthy mix of culture and, of course, lots of fun. Whether it’s sightseeing, trekking through a national park, learning to surf or taking part in a yoga class. G. From here on out, our in-country experts take the helm and will create a few sample itineraries. Based upon your feedback, our team will suggest the best fitting activities and projects to create the final itinerary. Then you’re all set! Our customized programs are both flexible and reliable. By going through our ABC’s, we can confidently create programs that marry your school’s needs and expectations with the needs of the local communities. Should you need any help preparing your students for their big trip abroad, our team are happy to help and offer their expert advice.